Queens Zoo is an 18-acre (7.3 hectare) zoo in Flushing Meadows�Corona Park, Queens, New York City, New York. The zoo, which first opened in 1968 (although it was closed from 1988 to 1992 for renovation and redesign work), is home to about 75 species of animals. Queens Zoo is noteworthy for being the first zoo to be designed from the start as a cageless zoo. 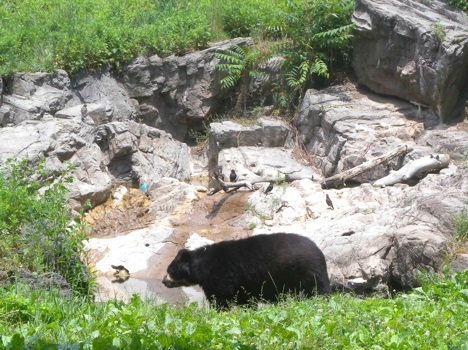 The zoo exhibits animals that are native to the Americas, including American alligators, American bison, Andean bears, bald eagles, California sea lions, Canada lynx, coyotes, Roosevelt elk, and Trumpeter swans. 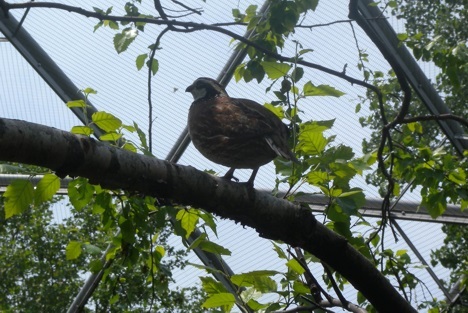 Facilties at the zoo in an aviary and a farm with a variety of domestic animals. 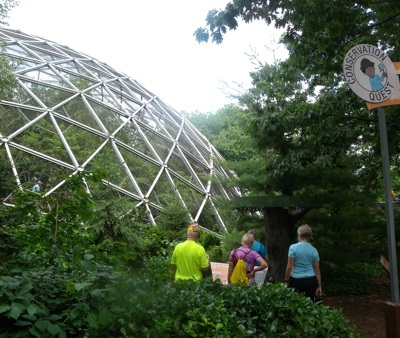 The distinctive aviary is 175-foot (53 meter) geodesic dome that was originally used as an assembly hall in the 1964 New York World's Fair - although the solid tent covering was replaced with mesh netting when it was moved to its current location.